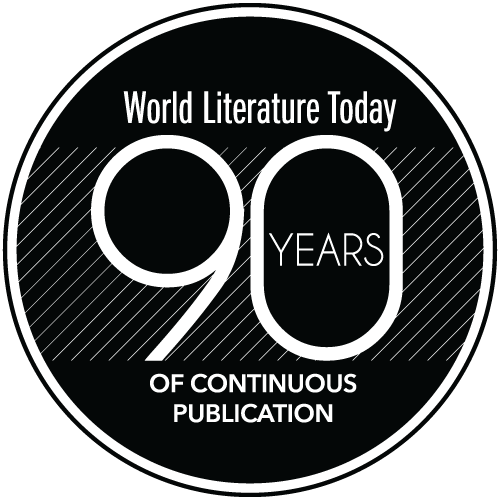 Dr. Robert Con Davis-Undiano, Neustadt Professor and executive director of the World Literature Today organization at the University of Oklahoma, this week announced the names of nine jurors chosen to select the winner of the 2018 Neustadt International Prize for Literature. Davis-Undiano called this group “one of the most prestigious Neustadt juries ever.” Each juror will nominate one writer to be the 2018 Neustadt Prize winner. The jurors are Alisa Ganieva, a Russian novelist from Dagestan; Major Jackson, an American poet; Adnan Mahmutović, a Bosnian-Swedish novelist and literary scholar; Dipika Mukherjee, a linguist and writer who is equally at home in the United States, India and Malaysia;Achy Obejas, a Cuban-American writer and translator; Ladan Osman, a Somali-born poet and teacher; Sasha Pimentel, a Filipina poet with roots in Manila, Saudi Arabia, and the American Southwest; Zia Haider Rahman, a British novelist; and Mahtem Shiferraw, an Ethiopian-born poet. The finalists for the 2018 Neustadt International Prize will be announced at 11a.m. on Tuesday, Sept. 5 as part of a special event that will be broadcast live on the WLT Facebook page. The jury will convene on Nov. 9 during the annual Neustadt Festival in Norman, Oklahoma, to select a prize winner. The Neustadt winner will be announced at a special event on Nov. 9. The prestigious Neustadt Prize may be awarded to a living writer anywhere in the world working in any literary form or genre. The biennial Neustadt Prize recognizes great accomplishments in literature and is frequently known as “America’s Nobel” for its reputation as a forerunner to the Swedish Academy’s annual selections. First given in 1970 to Italian poet Giuseppe Ungaretti, the Neustadt since has included Nobel Prize in Literature recipients Gabriel García Márquez, Czesław Miłosz, Octavio Paz, and Bob Dylan, as well as many well-known novelists, poets, and playwrights. The 2016 Neustadt Prize was awarded to Dubravka Ugrešić, who currently lives in the Netherlands. The Neustadt Prize is given in alternating years with the NSK Neustadt Prize for Children’s Literature. The 2017 NSK Prize winner is poet, translator, and children’s author Marilyn Nelson. Nelson will receive $25,000, a silver medallion, and a certificate of recognition at the 2017 Neustadt Festival hosted in her honor. More information about the Neustadt Festival, including full biographies of the jurors, can be obtained by visiting neustadtprize.org or by calling (405) 325-4531.